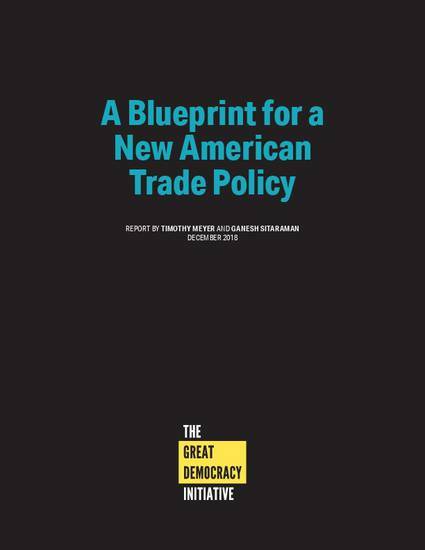 In recent years, it has become clear that American trade policy needs to change. For decades, U.S. policy has reflected the implicit assumption that trade liberalization is beneficial for everyone, with few distributional downsides over time. But this assumption hasn’t been borne out. Instead, decades of trade liberalization have led to a backlash that resulted in both 2016 presidential nominees opposing the Obama Administration’s proposed Trans Pacific Partnership (TPP). And since 2017, President Donald Trump has begun a trade war with China; raised tariffs on the grounds of protecting national security; renegotiated NAFTA, though on terms that do not obviously help working class Americans; and broadly called for increased protectionism. The response to these actions has been varied—from excitement to confusion to outright opposition. Trade policymaking today suffers from three fundamental challenges that any reform agenda must grapple with head on. First, trade policymakers have not adequately addressed the distributional consequences of liberalizing trade rules over the last few decades. Not only has trade liberalization disproportionately impacted some communities, but these communities have not bounced back from the shocks to their local economies. Internationally, trade agreements have meant the freer flow of capital across borders, but without the simultaneous updating of tax rules. The result has been the creation of tax havens around the world—tax havens that deepen the distributional consequences of liberalization because they allow corporations and wealthy individuals to avoid paying the full measure of their tax obligations.